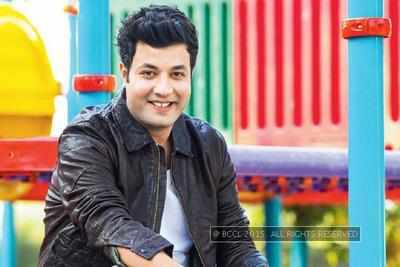 Varun Sharma is a Bollywood actor who made his debut with a surprise hit "Fukrey" in 2013 under the production of Farhan Akhtar where his comedy character "Choocha" really went viral among youngsters. He is now again ready to be appeared in Indian big screens with "Kis Kisko Pyar Karu." this year in 2015 along with another comedy king Kapil Sharma. Director Abbas Mastan will definitely make our stomach full with air of laughter through this film as two superb comedy stars will be there to entertain us. Varun was born on 04th February in Jalandhar ( Punjab, India ) and did his schooling till Matriculation from Lawrence School, Sanawar and Intermediate from APJ School, Jalandhar. Later he gained his Bachelor degree in Media, Entertainment and Film Technology from Chandigarh ( Punjab, India ). He was immensely affected with filmy fever since childhood and before stepping into Bollywood, he participated in many street and professional plays along with some theaters even at national level also. Varun did many TV ads also for brands like Virgin Mobile, Airtel, Ebay, Nissan Micra, Margo Soap etc..
Actor Varun claims that just because of his shy nature, he never approached a girl and thus never had a girlfriend till now. He also said that he studied in a school with girls in co-ed system but remained shy even after this. 1 ) Nominated for Best Actor in a Comic Role (Male/Female) in Screen Awards. 2 ) Nominated for Most Promising Debut - Male in Star Guild Awards. 3 ) Won Best Performance In A Comic Role in Star Guild Awards. 4 ) Won Best Actor in a Comic Role in Zee Cine Awards.